Nation states and global corporations have been insufficient in addressing humanity’s global challenges. Therefore, I propose some new approaches to make a difference, among them a socio-ecological finance system 4.0 and a Climate City Cup. Dirk Helbing is Professor of Computational Social Science at the Department of Humanities, Social and Political Sciences and affiliate of the Computer Science Department at ETH Zurich. He studied physics and mathematics at the University of Göttingen and wrote his doctoral thesis at Stuttgart University on modeling social processes by means of game-theoretical approaches, stochastic methods, and complex systems theory. In 1996, he completed further studies on traffic dynamics and optimization. In 2000, he became a full professor and Managing Director of the Institute for Transport and Economics at Dresden University of Technology. Helbing is elected member of the German Academy of Sciences Leopoldina and of the World Academy of Art and Science. In January 2014 he received an honorary PhD from Delft University of Technology (TU Delft). Since June 2015 he is affiliate professor at the faculty of Technology, Policy and Management at TU Delft, where he leads the PhD school « Engineering Social Technologies for a Responsible Digital Future ». Having lived in some of the most polluted cities, Juliana Rademaker is engaged in sustainability since her teenager years, notably by organizing a conference on the role the Y generation in reversing global warming at the United Nations Geneva. Juliana is currently pursuing a dual master in Innovation and Sustainability with the Geneva-Tsinghua Initiative, with a specialization in Future Cities. Further interested in sustainable business strategies, she simultaneously joined B Lab to engage the private sector in a much-needed change to build a thriving and sustainable society. Best for Geneva is a program that brings together around 300 Geneva companies who want to promote their jobs, strengthen the community and preserve the environment. The program provides tools for businesses to commit to building a sustainable future. It envisions a future in which businesses will want to be not only the best in Geneva, but also the best for Geneva. This program is made possible thanks to the joint support of the State of Geneva and some thirty Geneva partners, be they academic actors, companies, business support organizations, entities autonomous bodies of public law or umbrella associations. How to become a Smart City, without knowing how a Smart City will look like? Today Cities are facing challenges in various areas, such as social-, environmental-, infrastructural but also organizational/political changes. The increasing pace of innovation in technology provides many new options that will support in tackling those challenges today and even more in the future. But they will not solve them by itself. Instead of developing large, multiyear projects and strategies, small but impactful projects seem to be the path to success. Let’s have a closer look at a few key areas and disciplines on which a Smart City should focus on. Since starting at Microsoft in 2014, Cyril Hollenstein is responsible for the business development and partner ecosystem in the Smart City and Industry 4.0 domain. He studied communication and computer science at ZHAW and holds a postgraduate diploma in management, technology and economics from ETH Zurich. After working as a project manager for local transport control systems, he worked as a senior consultant at Amstein+Walthert. He developed concepts and solution strategies at the intersection of ICT, transport and building technology. In 2009, he switched to connectis (SPIE) as team leader in the solution design unit. Giorgio Pauletto studied economics and quantitative methods in Geneva where he got his PhD. He then lived, studied and worked several years in the Silicon Valley and on the East Coast while he was at Stanford and Yale. Giorgio’s main fields of interest are Design Thinking, Lean approaches, and foresight methods. Largely involved with community endeavors, he co-created the Lean Startup Geneva meetup and is on the boards of several organisations such as ThinkServices.ch (service design), OpenGeneva.org (hackathons) and JustInnovate.net (social innovation). Giorgio currently works as head of strategy and innovation for SIG, a public utilities company active in the fields of energy, water, environment, and smart city in Geneva. Blockchain and energy: is there hope behind the hype? Blockchains and distributed ledgers are an emerging technology that undoubtedly draws considerable interest. In recent years, several examples of innovative ideas in the application of blockchains in the field of energy around the world have caught our attention. SIG, the utility company of Geneva, is currently exploring several use cases with other partners to establish the value they can really bring to society. As SIG wants to foster a more connected, more humane and more sustainable world, we are very attentive to keeping our innovation aligned with these values and not the hype of technology. Sand extraction is destroying beaches and ecosystems. The construction industry is the biggest consumer of sand but the ‘players’ in this industry are not 1) sensitized to this problem, 2) using the available alternatives. To tackle this problem, we created an immersive board game called Sand Merchant. In the game, players take different roles and cooperate with each other to construct diverse buildings by managing different resources including sand. With the Sand Merchant, we aims to 1) bring this issue to the forefront in this industry, 2) expose them to the alternatives available. We will place our game strategically within architecture/engineering events, competitions, school curriculum to spark a paradigm shift in the way we build. Sand Merchant consists of five ambitious Master students of University of Geneva: Stephanie, Juliana, Sali, Isabelle and Hyun. In autumn 2018, they had a semester-long workshop, which focused on finding a solution for the global sand problem. Consequently, they prototyped a board game (Sand Merchant) to bring the sand issue to the forefront of the construction industry by creating a space for open discourse. Although the workshop has now ended, their work hasn’t. Currently, Isabelle, Sali and Stephanie are preparing to bring Sand Merchant- the board game to the LafargeHolcim Sustainable Construction Forum in Cairo. Ultimately, Sand Merchant strives towards a paradigm shift in the way we educate the professionals in the industry, and the mindset of the general public on the way we construct and build our cities for the future. Pierre-Jean Benghozi is graduated in engineering (Ecole Polytechnique, Paris), PhD in Management studies and Priv.- Doz in Economic (Paris-Dauphine University). 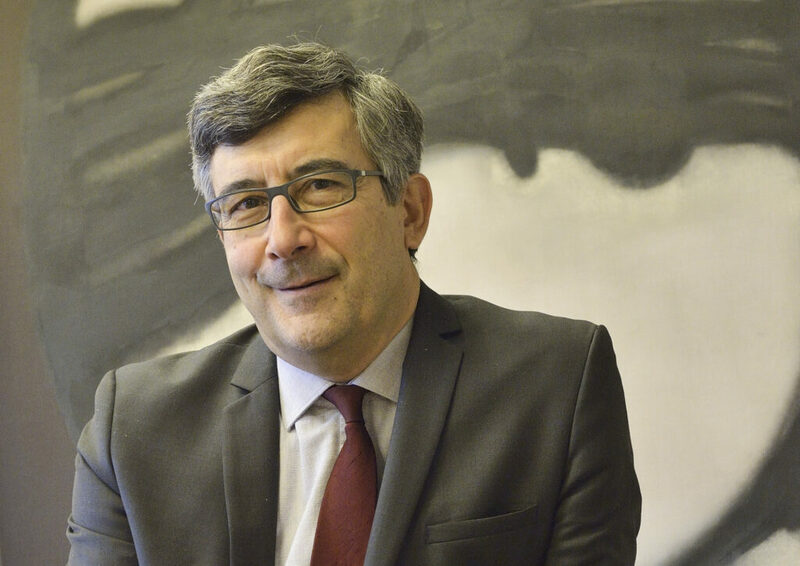 He is Research Director at the National Centre for Scientific Resarch (CNRS), Professor at École Polytechnique (Paris) and at GSEM (Geneva University) and was, until 2019, Commissioner of the French Electronic Communications and Postal Regulatory Authority (Arcep). Pierre-Jean Benghozi developed, since the early 80s, pioneering researches on Information Technology, Telecommunications, Media and Culture. His projects draw attention to the structuring of ITC-supported organizations, markets, supply chains and competitive business models, expressly in creative industries. P-J. Benghozi publishes more than 200 academic publications, is board member of scientific committee in highest institutions, conferences and academic journals. He is frequently requested as an expert by public bodies and private organizations. Born in 1964 from a Lebanese father and a Swiss mother, Sami Kanaan is multilingual (French, Swiss German, German, Arabic and English). His life course is divided between Lebanon, Greece and Switzerland (Bern, Zurich and Geneva). He graduated in physics (Swiss Federal Institute of Technology in Zurich) and in political science (University of Geneva). Sami Kanaan has been a member of the social-democratic party since 1988, elected to the parliament of the City of Geneva (Conseil municipal–City Council),between 1997 and 2001, and to the parliament of the Canton of Geneva (Grand Conseil) between 2001 and 2005. In the spring of 2011, he is elected to Geneva’s City Hall, in charge of the Department of culture and sports. 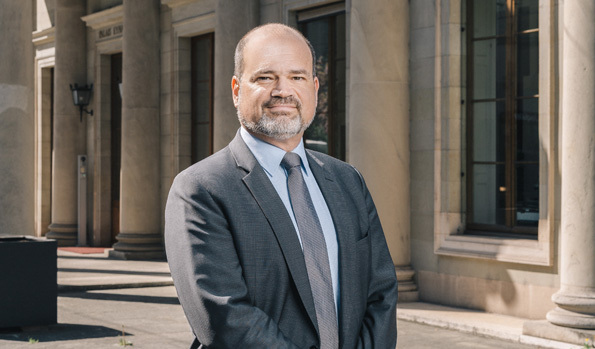 As of June 2018 to 2019, he is the Mayor of the City of Geneva. 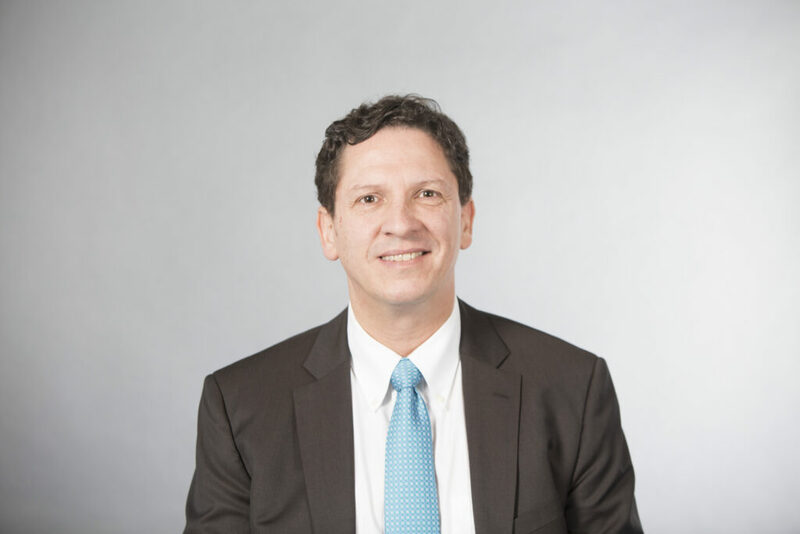 Alexandre Epalle is currently Director General of Economic Development and Innovation at the Department of Economic Development of the Canton of Geneva. In this position, he contributes to promoting sustainable economic development with a view to maintaining and creating jobs and value. Previously, M. Epalle served as Director of External Affairs at the Geneva University Hospital. Previous to this, Alexandre Epalle was the Deputy Secretary General in charge of economic questions for the Republic and Canton of Geneva – Department of Security and Economy (DSE). In this previous position, he had the opportunity to direct the elaboration of the “Cantonal economic Strategy 2030 for Geneva”, defining the main strategic axes and goals of Geneva’s economic policy. M. Epalle also directed, from 2000 to 2010, the Geneva Cantonal office for a sustainable development.